Detective Pikachu releases in a month’s time. Check out the new trailer and press release for the upcoming 3DS game below! In Detective Pikachu™, a new game coming on March 23rd for the Nintendo 3DS family of systems, you must team up with the self-proclaimed “great detective” Pikachu to solve a puzzling case involving oddly behaving Pokémon, discover a possible connection to the mysterious Mewtwo and encounter many characters in Ryme City. The Mysterious Mewtwo: While many different Pokémon appear in Detective Pikachu, the one who seems to hold the biggest connection to the overall mystery is Mewtwo. How is Mewtwo connected to everything? And why does Mewtwo seem to know Pikachu? 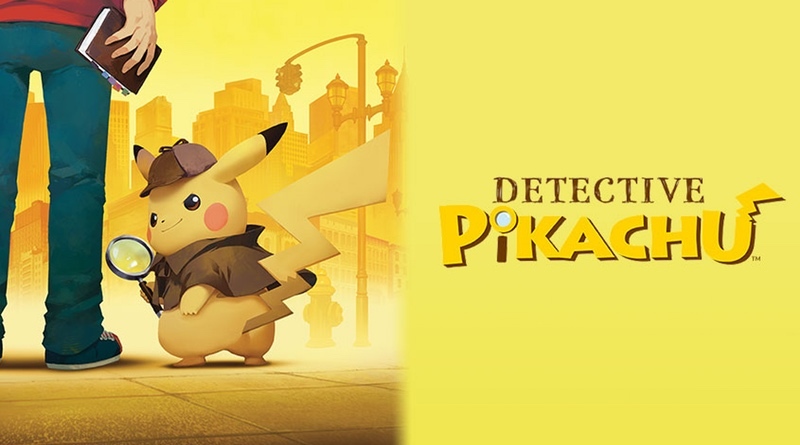 Along the way, experience over 150 fun-filled animated cutscenes starring this unique, wise-cracking Pikachu and a charming cast of curious characters who may help you on your investigation. You can also tap the new, extra-large Detective Pikachu amiibo™ figure to access all cutscenes up until the current chapter played. But that’s not all! Fans can now play Detective Pikachu on a New Nintendo 2DS XL system that features Pikachu’s iconic face, now availablein stores at a suggested retail price of $159.99. The New Nintendo 2DS XL Pikachu Edition system is just as electric as the Pokémon itself, with an eye-catching yellow design featuring a stylized close-up of Pikachu’s face. For a limited time, players who purchase the Detective Pikachu™ game will receive a bonus download code for a Detective Pikachu theme for the HOME Menu on the Nintendo 3DS family of systems, including Nintendo 2DS and New Nintendo 2DS XL. Starting 3/8 at 9:00am PST, pre-purchase the digital version of the Detective Pikachu game on Nintendo eShop or Nintendo.com, or starting 3/23 purchase the digital or packaged version of the game on Nintendo eShop, Nintendo.com, or select retailers to get your bonus code, and enjoy this cool yet cute Detective Pikachu theme! * Offer ends April 22, 2018.